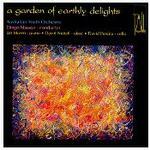 A garden of earthly delights / Australian Youth Orchestra, Diego Masson. 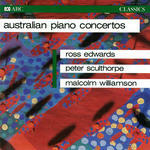 Australian piano concertos / Edwards, Williamson, Sculthorpe. 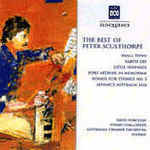 Peter Sculthorpe / Melbourne Symphony Orchestra. 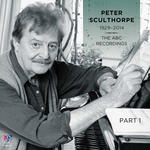 Instrumentation: Solo piano, 2 oboes, 2 bassoons, contra-bassoon, 2 horns, 2 trumpets, 2 tenor trombones, bass trombone, tuba, percussion (3 players), strings. 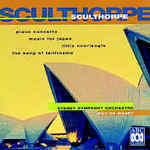 Book: Gagaku and the works of Richard Meale and Peter Sculthorpe : a study of the significance of non-western resources within the western compositional tradition / Hugh de Ferranti. 4 Apr 12: St Joseph's Church, Beirut, Lebanon. 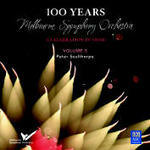 Featuring Geoffrey Saba, Lebanese Philharmonic Orchestra, Harout Fazlian.